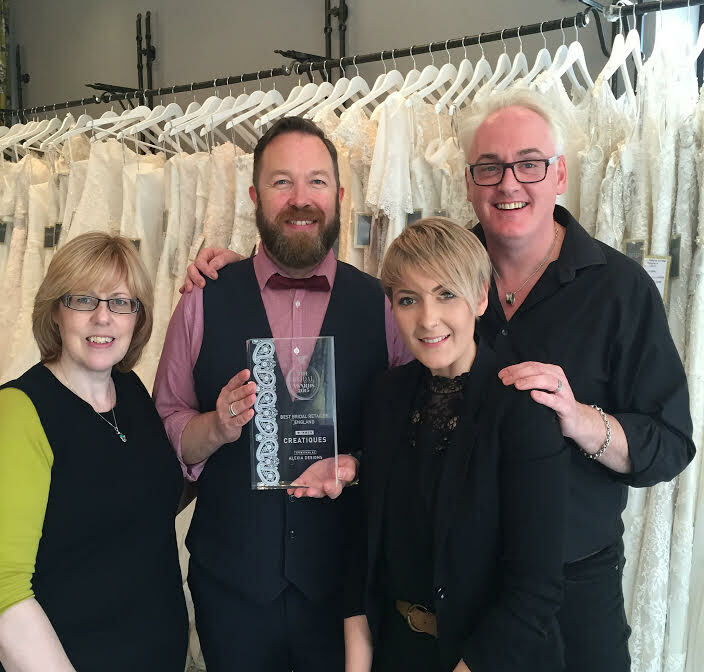 Portsmouth’s award-winning bridal retailer, Creatiques, is in the running for yet more awards. The wedding boutique in Albert Road who recently launched a new website, has just found out that they have been shortlisted in the Bridal Buyer awards. Andrew Pearce, co-owner of the business, said, “We are very excited and very proud to be in three categories which are Best Bridal Retailer in England, Best Customer Service for the UK and best UK Bridal Website. Last year, the team one Best Bridal Retailer for England in the same awards. The awards are judged by industry professionals and the team will attend a prestigious awards ceremony in Harrogate in September to find out if they are winners. More information about Creatiques Bridal Boutique can be found on their website and Facebook page.